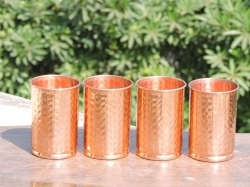 Perfect accessory to serve and drink water. 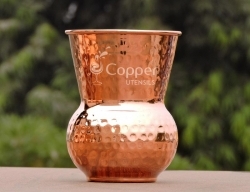 An economic way to reap the benefits of copper charged water. 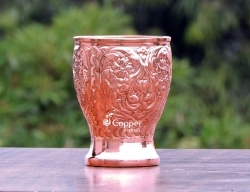 Crafted by skilled Indian craftsmen. 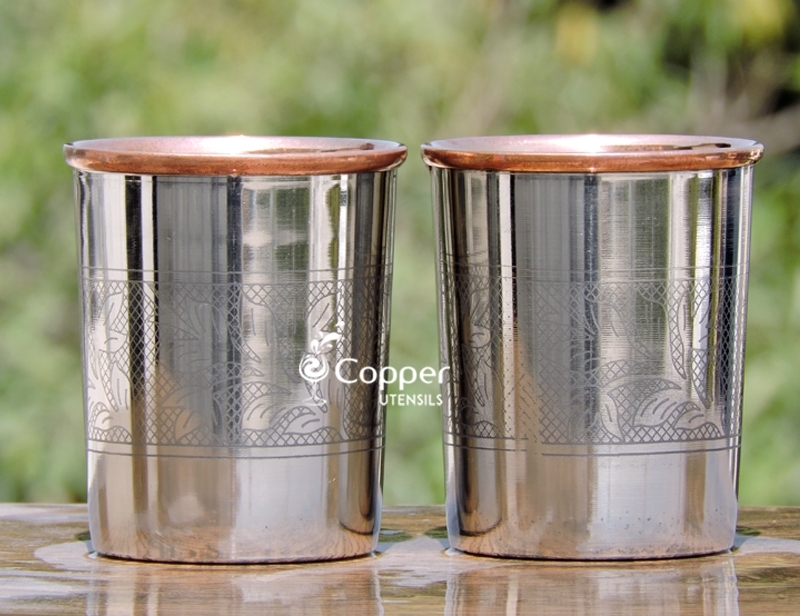 The intricate design and patina gives it a vintage look. 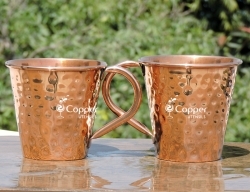 A classy addition to your tumbler collection. 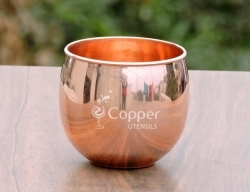 Copper utensils can be a great addition to your kitchen collection as they not only add a great sense of style to your kitchen but also add various health benefits to your life as well. 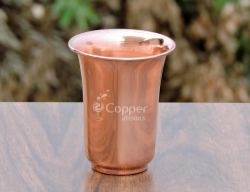 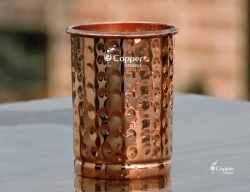 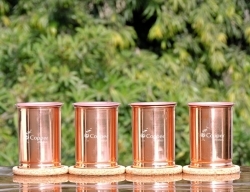 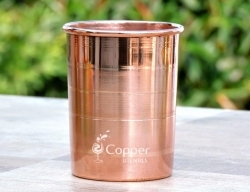 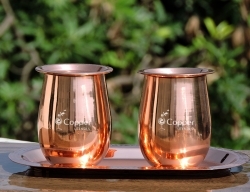 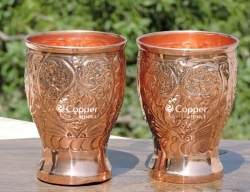 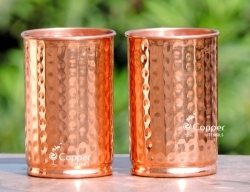 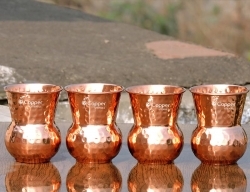 Our hand designed copper tumbler is the perfect way to add style to your copperware collection. 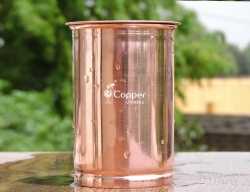 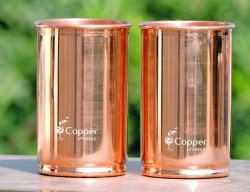 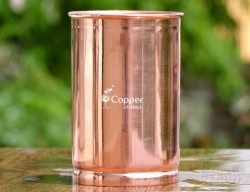 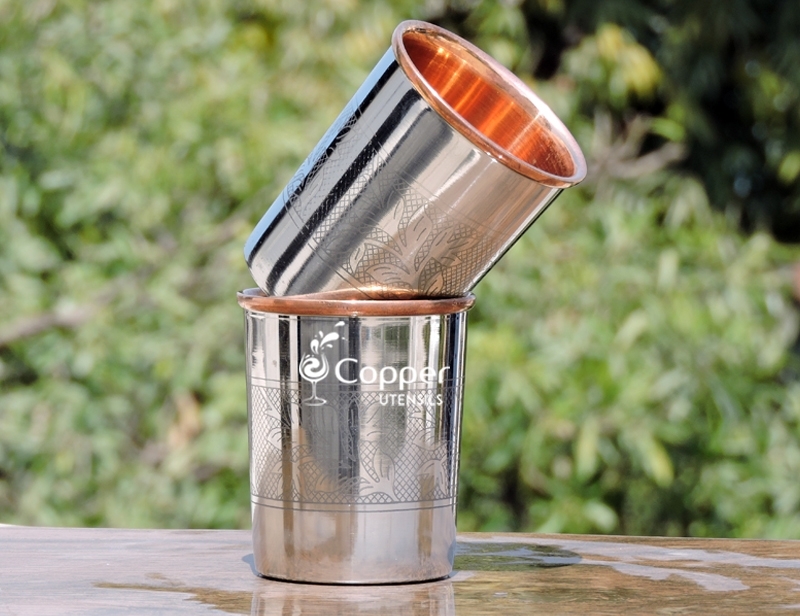 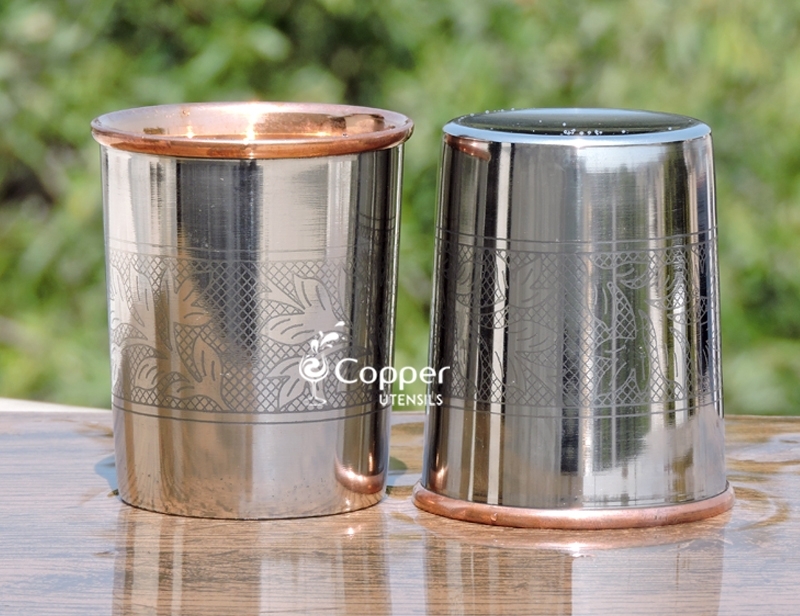 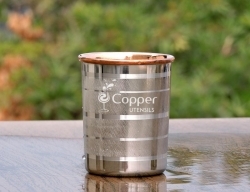 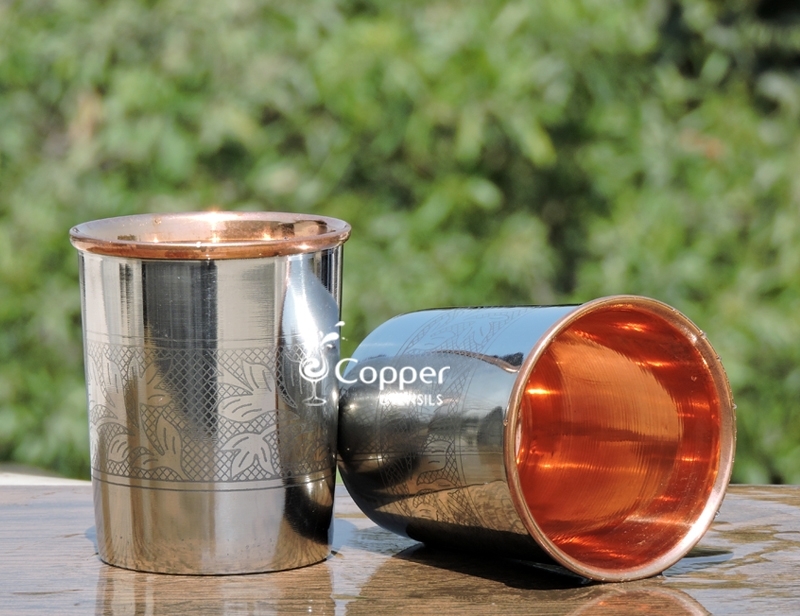 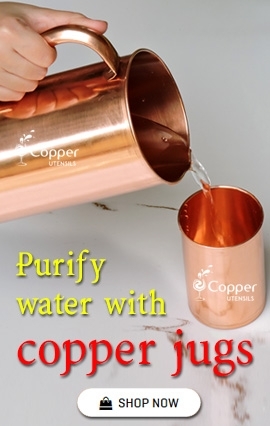 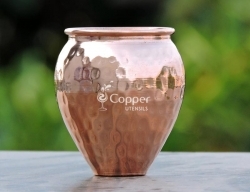 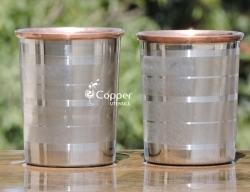 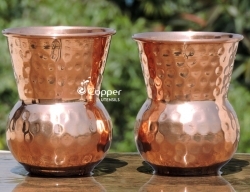 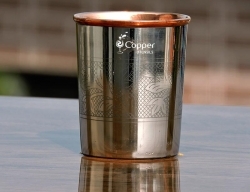 This tumbler is specially crafted for those who love copperware but are concerned about the cleaning part. 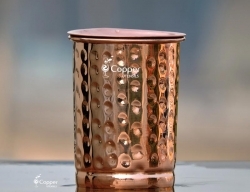 You can easily wash this tumbler in the dishwasher or with normal dishwashing soap or water. 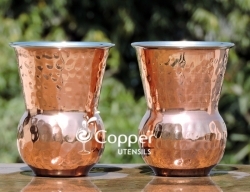 For cleaning the copper interior you can follow our provided instruction leaflet.